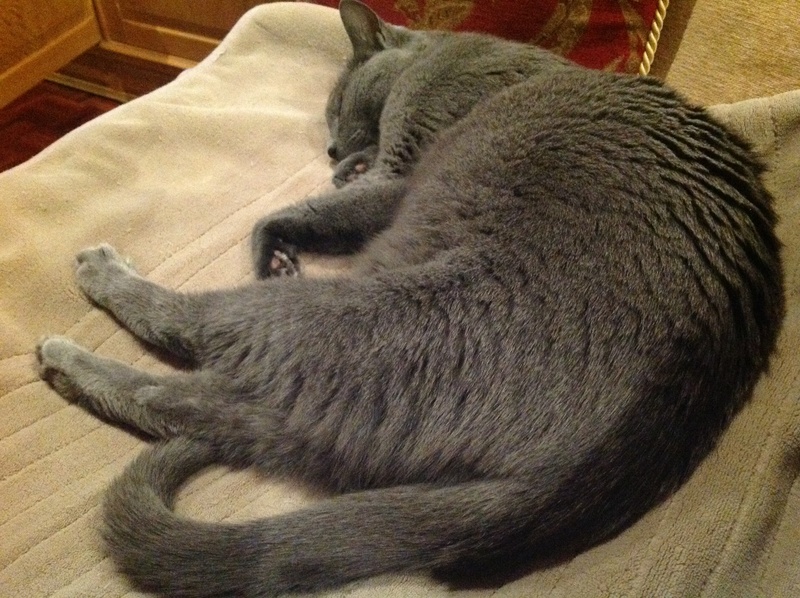 Today I am not writing at all about dementia, because it is the first anniversary since my beautiful Russian Blue Cat Star died of cancer. It is still difficult to accept she is not here, and although Boris has definitely stepped up to the plate in terms of affection and love, and his devotion to us, he is a different cat. I’ve heard people say after the loss of a baby or child, it’s ok, you can have another one… but it will never be the one you have loved and lost. Boris only recovered from his grief at losing her about two months ago; I had no idea cats would grieve at all, nor for so long. He had been with her since he was 12 weeks old, and they had played together daily. After she died, he stopped playing, and has only been playing again recently, usually at 3am with a piece of paper or receipt he steals from the desk! Interestingly, he has taken on some of her personality, and is far more affectionate than he used to be. He is definitely just a little more spoilt now! Continue to RIP my beautiful Star, I still miss you. Kate, thinking of you… I will light a candle and look out into the dark night’s sky and think of sky tonight shining bright like a star. A star for a Star. I think we are all unique souls and it can be a heartbreaking loss. Thinking of you Kate and all those who have lost their four legged companions.